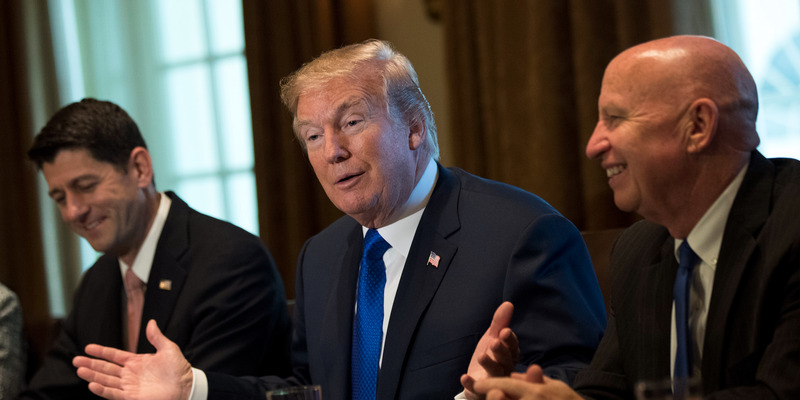 Drew Angerer/Getty ImagesHouse Speaker Paul Ryan, President Donald Trump, and Rep. Kevin Brady. Republicans promised that the Tax Cuts and Jobs Act would lead to a boom in US business investment. A new survey from the National Association for Business Economics showed that few companies said they were increasing investment or hiring because of the tax law. The survey matches the most recent data on capital expenditures, which shows no meaningful boost. At the same time, few firms reported negative outcomes linked to President Donald Trump’s tariff policies. One of the cornerstone Republican arguments for a new tax law last year was that cutting taxes for businesses would lead to an investment boom in the US. “These massive tax cuts will be rocket fuel, rocket fuel for the American economy,” President Donald Trump promised in November. The GOP’s argument in the run-up to the Tax Cuts and Jobs Act’s passage was that businesses would invest extra cash from the tax cuts into new equipment, factories, and hiring. But according to a new survey by the National Association for Business Economics, the law isn’t causing an investment boom. A somewhat higher number of goods-producing firms have reported a boost from the new law, said Sara Rutledge, NABE’s Business Conditions Survey chair. “The 2017 Tax Cuts and Jobs Act has not broadly impacted hiring and investment plans at panelists’ firms, although panelists from the goods-producing sector do report some incidence of increased investments, and a shift toward hiring and investments from abroad to the US,” Rutledge said. Only 6% of businesses in the service sector, which makes up the largest chunk of the US economy and employment in the country, reported changes in investments and hiring linked to the GOP tax law. The lack of a boom in capital expenditures is also in line with the most recent hard data from last week. While Friday’s gross-domestic-product report showed the economy growing at a solid pace, nonresidential fixed investment grew at its slowest pace in almost two years. Additionally, core durable goods orders also fell for the second straight month, according to the report released Thursday. 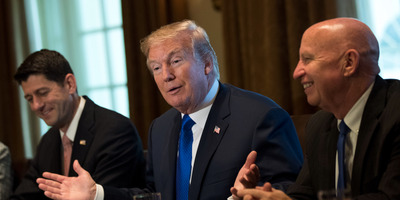 While there is growing anecdotal evidence from Federal Reserve surveys and company earnings calls that Trump’s trade war is weighing on business decisions, most respondents to the NABE survey said it hadn’t affected their plans. Overall, 77% of NABE respondents reported no changes to hiring and investment plans caused by trade policy. But again, the changes were more acutely felt by goods-producing firms. “Goods-producing firms are more likely to have made changes, with 46% raising prices and 38% delaying investments, higher percentages than those in the July survey,” the release said. The latest wave of Trump’s tariffs on roughly $US250 billion worth of Chinese goods was imposed September 24.